To get always good results with 3ds max (Mental ray) like shown in renderings on this page, you have to download and load the “DE-renderpresets”. 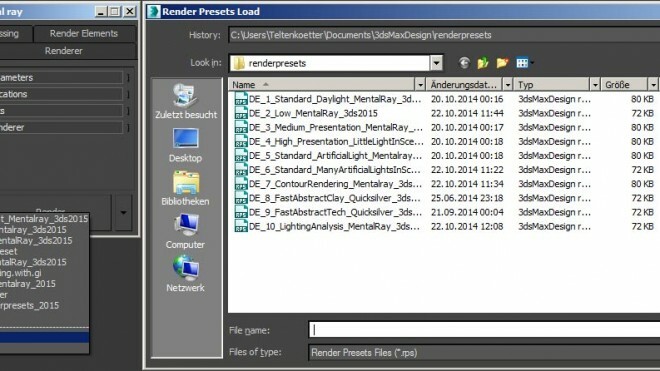 This download also contains the 3ds max scene, used for these renderings. 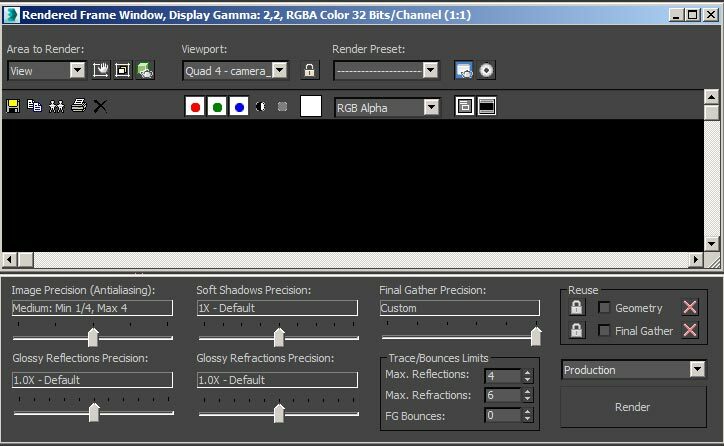 To be able to use “renderpresets” and “3ds max scene”, you need 3ds max 2015 or higher version. “DE_4_High_Presentation_LittleLightInScene_Mentalray”: smoother edges and many more rays. Good, if you have really small windows and little light comes into your scene. With this your surfaces are often not smooth or have dots. You can change the image precision between low, medium (standard) and high (never use very high). 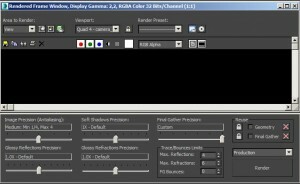 With this you adjust the jagged and smooth edges in antialiasing. You can create contour and other kind of more abstract renderings and probably change the look even more with post production. You can use this scene for an easy way of rendering “objects” in a lighting studio. You can either illuminate with “photometric lights” (preset) or with “sky portals” (faster).